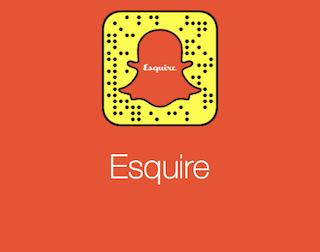 Esquire is putting its brand front-and-center for the kids with a live, 48-hour popup channel on Snapchat’s Discover section. The channel is titled The Esquire Guide to Grooming. If that’s not self-explanatory enough for you, it will be packed with style and grooming tips. Since we’re not 14 we don’t use Snapchat, but we’re sure the channel will be great. Esquire definitely knows those subjects well.